Prof. Wai-sum Chan was born in Hong Kong. His undergraduate work was taken at The Chinese University of Hong Kong (CUHK) where he graduated in 1984 with a major in accounting and a minor in statistics. He pursued a doctorate in applied statistics at the Fox School of Business, Temple University (Philadelphia, US), receiving the PhD in 1989. He qualified as a Fellow of the Society of Actuaries in 1995. Prof. Chan has held teaching and research posts at National University of Singapore, University of Waterloo, and The University of Hong Kong before his present appointment as Professor in Department of Finance at CUHK. Prof. Chan’s research interests include health care financing, actuarial modelling, and financial econometrics. He has had over 110 scientific articles published in scholarly journals. 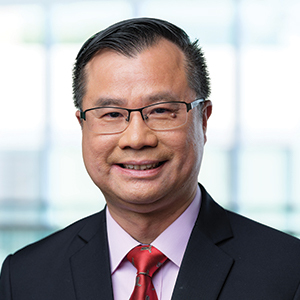 Prof. Chan has been teaching financial and actuarial courses since 1992. S.Y. Lee, K.L. Chou, W.S. Chan, and Hans van Kippersluis (2018), “Consumer Preferences and Demand for Annuities: Evidence from Hong Kong,” Journal of Aging and Social Policy, in press. K.C.K. Cheung, W.S. Chan, K.L. Chou, and M.K.W Lau (2018), “Evaluating the Effectiveness and Efficiency of Hong Kong Welfare Programs in Reducing Child Poverty,’’ Children & Society, in press. K.L.T. Chan and W.S. Chan (2018), “Developing an Optimal Strategy for a Maximization Dice Game,” College Mathematics Journal, in press. K.S. Kwong, Y.K. Tse, and W.S. Chan (2018), “Singapore’s LIFE Program: Actuarial Framework, Longevity Risk and Impact of Annuity Fund Return,’’ Singapore Economic Review, in press. J.S.H. Li, W.S. Chan, and R. Zhou (2017), “Semi-Coherent Multi-Population Mortality Modeling: The Impact on Longevity Risk Securitization,” Journal of Risk and Insurance, 84(3), 1025-1065. F.W.H. Chan, W.S. Chan, and J.S.H Li (2017), “Assessing Personal Injury Liabilities in China from National to Provincial Level: An International Comparative Analysis,” Asian Journal of Law and Economics, 8(2), 1-20. C.W. Chu, K.L.T. Chan, W.S. Chan and K.S. Kwong (2017), “Multiple-Solution Problems in a Statistics Classroom: An Example,” International Journal of Mathematical Education in Science and Technology, 48(8), 1249-1261. K.S. Kwong, Y.K. Tse, and W.S. Chan (2017), “Enhancing Singapore’s Pension Scheme: A Blueprint for Further Flexibility,” Risks, 5(2), 25-42. W.S. Chan, J.S.H. Li, K.Q. Zhou and R. Zhou (2016), “Towards a Large and Liquid Longevity Market: A Graphical Population Basis Risk Metric,” The Geneva Papers on Risk and Insurance – Issues and Practice, 41, 118-127. J.S.H. Li, A.C.Y. Ng and W.S. Chan (2015), “Managing Financial Risk in Chinese Stock Markets: Option Pricing and Modeling under a Multivariate Threshold Autoregression,” International Review of Economics and Finance, 40, 217-230. F.W.H. Chan, W.S. Chan and J.S.H. Li (2015), “Using Actuarial Evidence in Singapore and Hong Kong: A Sequel to ‘Lai Wee Lian Revisited’,” Hong Kong Law Journal, 45, 499-516. W.S. Chan, S.H. Cheung, W.K. Chow, and L.X. Zhang (2015), “A Robust Test for Threshold-type Non-linearity in Multivariate Time-Series Analysis,” Journal of Forecasting, 34, 441-454. K.M. Yu, A.M. Wu, W.S. Chan, and K.L. Chou (2015), “Gender Differences in Financial Literacy among Hong Kong Workers,” Educational Gerontology, 41, 315-326. K.M. Yu, K.L. Chou, W.S. Chan, A.M. Wu, A.Y.F. Zhu, and V.W.Q. Lou (2015), “Perceived Retirement Savings Adequacy in Hong Kong: An Interdisciplinary Financial Planning Model,” Ageing & Society, 35, 1565-1586. L.X. Zhang, F.Hu, S.H. Cheung, and W.S. Chan (2014), “Asymptotic Properties of Multi-color Randomly Reinforced Polya Urn,” Advances in Applied Probability, 46, 585-602. K.L. Chou, W.S. Chan, A.M. Wu, A.C.M.Chan, T.Y.S. Lam, and A.Y.F. Zhu (2014), “Social and Psychological Barriers to Private Retirement Savings in Hong Kong,” Journal of Aging & Social Policy, 26, 308-323. S.H. Cheung, L.X. Zhang, F. Hu, and W.S. Chan (2014), “Covariate-Adjusted Response-Adaptive Designs for Generalized Linear Models,” Journal of Statistical Planning and Inference, 149, 152-161. W.S. Chan, J.S.H. Li, and J.K.K. Li (2014), “The CBD Mortality Indexes: Modelling and Applications,” North American Actuarial Journal, 18, 38-58. A.C.Y. Ng, J.S.H. Li, and W.S. Chan (2013), “Pricing Options on Stocks Denominated in Different Currencies: Theory and Illustrations,” North American Journal of Economics and Finance, 26, 339-354. J.S.H. Li, A.C.Y. Ng, and W.S. Chan (2013), “Stochastic Life Table Forecasting: a Time-Simultaneous Fan Chart Application,” Mathematics and Computers in Simulation, 93, 98-107. F.W.H. Chan, W.S. Chan, and J.S.H. Li (2012), “Actuarial Assessment of Damages in Personal Injury Litigation: How Precise Are We?” Law, Probability and Risk, 11, 25-39. F. Hu, L.X. Zhang, S.H. Cheung, and W.S. Chan (2011), “Immigrated Urn Models – Theoretical Properties and Applications,” Annals of Statistics, 39, 643-67. J.S.H. Li, A.C.Y. Ng, and W.S. Chan (2011), “On the Calibration of Mortality Forward Curves,” Journal of Futures Markets, 31, 947-970. A.H.L. Chung, W.S. Chan, and J.A. Batten (2011), “Threshold Non-Linear Dynamics between Hang Seng Stock Index and Futures Returns,” European Journal of Finance, 17, 471-486. J.S.H. Li, and W.S. Chan (2011), “Time-Simultaneous Prediction Bands: A New Look at the Uncertainty Involved in Forecasting Mortality,” Insurance: Mathematics and Economics, 49, 81-88. A.C.S. Wong, W.S. Chan, and P.L. Kam (2009), “A Student t-mixture Autoregressive Model with Applications to Heavy-Tailed Financial Data,” Biometrika, 96, 751-760. L.X. Zhang, F. Hu, S.H. Cheung, and W.S. Chan (2007), “Asymptotic Properties of Covariate-Adjusted Response-Adaptive Designs,” Annals of Statistics, 35, 1166-1182.